In the heart of downtown Destin, Florida, discover our beautiful Jade East condominiums. These premier Destin, Florida condo rentals have so much to offer visitors, beginning with the spectacular views of the Gulf of Mexico and its shore of white sandy beach. Soak in these views from your private balcony where you can spend hours listening to the gentle waves lap ashore. Not only do the balconies display the views, but also the living areas and even the master bedroom do as well. Luxurious and boasting many amenities, this beachfront jewel awaits you, your family and friends. Spend the day at the beach or at the Gulf-front pool. Play a little tennis or grill your favorite catch on the barbecue after fishing on one of Destin’s finest fishing boats. Jade East condominium is well positioned close to fabulous restaurants, shopping, and fun. Our Destin vacation guide can show you all the best places to dine, shop and be entertained. At Jade East, you will have it all! Choose Jade East Towers #1010 for your next beach retreat in Destin, Florida and enjoy stunning gulf views, high-end property amenities and exciting resort amenities. With a Gulf-front private balcony and grand windows lining its southern walls, Jade East Towers #1150 offers up incredible beach scenery for you to enjoy during your getaway in Destin, Florida. Reserve your stay at Jade East Towers #1240 in Destin, Florida and enjoy incredible views of the Gulf of Mexico as well as thrilling resort amenities, including a beachfront pool, tennis courts and more. Breathe in the salty air and enjoy the gentle gulf breeze from the comfort of your private gulf front balcony when you choose to stay in Jade East Towers #1430 in Destin, Florida. 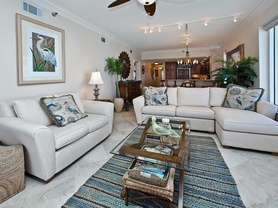 Get away to the heart of the Emerald Coast at Jade East Towers, Destin, Florida vacation rentals. This high-end condo rental features spectacular amenities inside and out, making you feel at home at the beach. Sleeping up to 8 via three bedrooms, the more than 1,600 square-feet are spacious yet intimate for your perfect family vacation. Your private, shaded balcony overlooking the beaches of the Gulf of Mexico awaits you at Jade East Towers #610 in Destin, Florida. Reserve your stay and get ready for a sweet Southern experience on the coast. Enjoy our three bedroom Destin, Florida vacation rental at Jade East. Wake up to beautiful views of the Gulf of Mexico from your master bedroom, living room and private balcony. Play along the sugar white shoreline or relax by the beachfront pool.